Wall of tributes at Mandela home Jump to media player Hundreds of mourners have gathered to lay tributes outside Nelson Mandela's home in Johannesburg's northern suburb of Houghton, where he died on Thursday night. 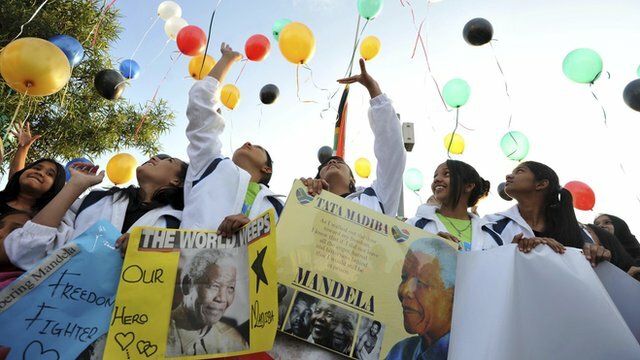 Soweto celebrates Mandela in song Jump to media player People across South Africa have been gathering to mourn former President Nelson Mandela, who died on Thursday night at the age of 95. 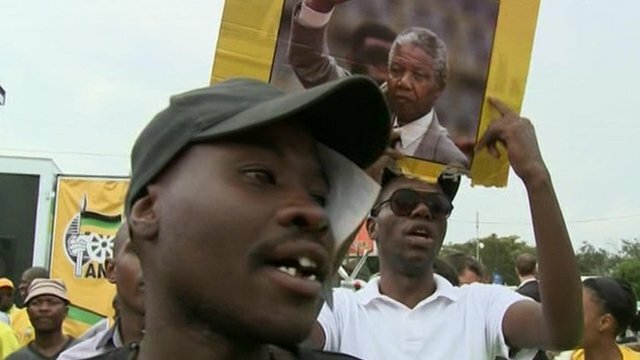 Crowds gather to remember Mandela Jump to media player Crowds of people have gathered in the streets of South Africa to mark the death of Nelson Mandela, more than 24 hours after it was announced. 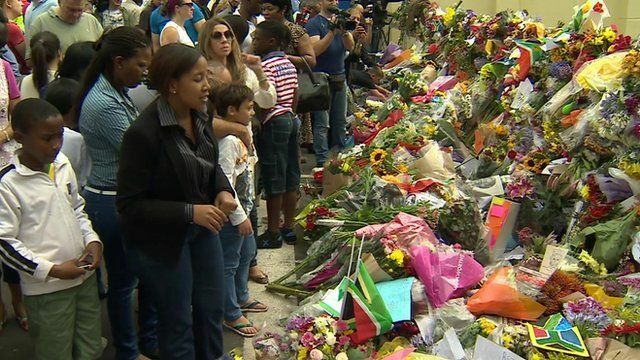 South Africa unites to mourn Mandela Jump to media player People from all over South Africa came together on Friday to mourn the passing of Nelson Mandela, who led the country's transition from white minority rule. 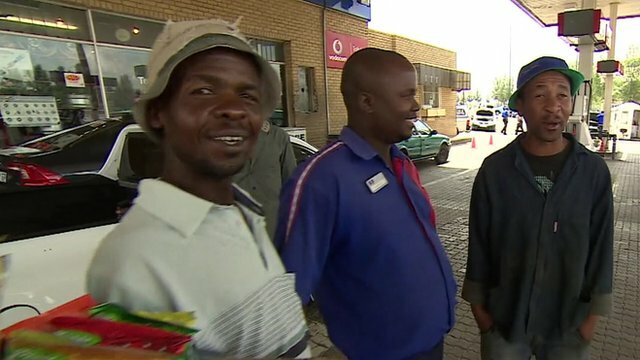 We mourn, but our lives must go on Jump to media player Large crowds gathered in Soweto on Friday following the death of Nelson Mandela, but for many it was a working day, and life had to go on despite the sorrow. 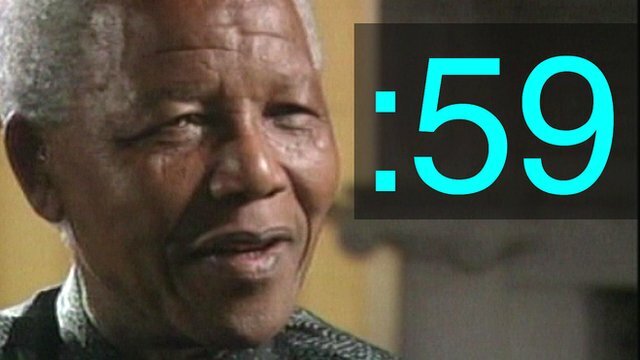 The minute before we knew Jump to media player #BBCtrending looks at the intense activity on social media in the 60 seconds before Nelson Mandela's death was officially announced by South African President Jacob Zuma. 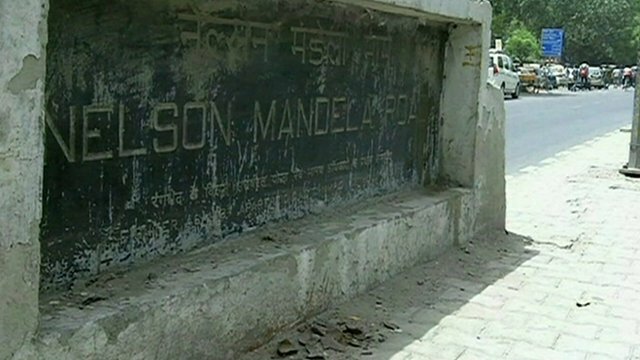 Mandela legacy written on the streets Jump to media player As well as changing the political landscape of South Africa, Nelson Mandela helped shape the physical landscape of countries around the world with numerous roads and squares named after the iconic leader. Hundreds of mourners have gathered to lay tributes outside Nelson Mandela's home in Johannesburg's northern suburb of Houghton, where he died on Thursday night. 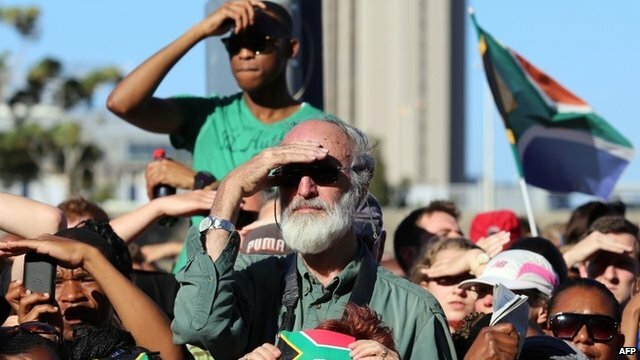 People of different races, backgrounds and indeed nationalities have come together to show their love for the late anti-apartheid icon, as Pumza Fihlani reports from the scene.